Rose at the gateway to the University of Illinois Urbana-Champaign. 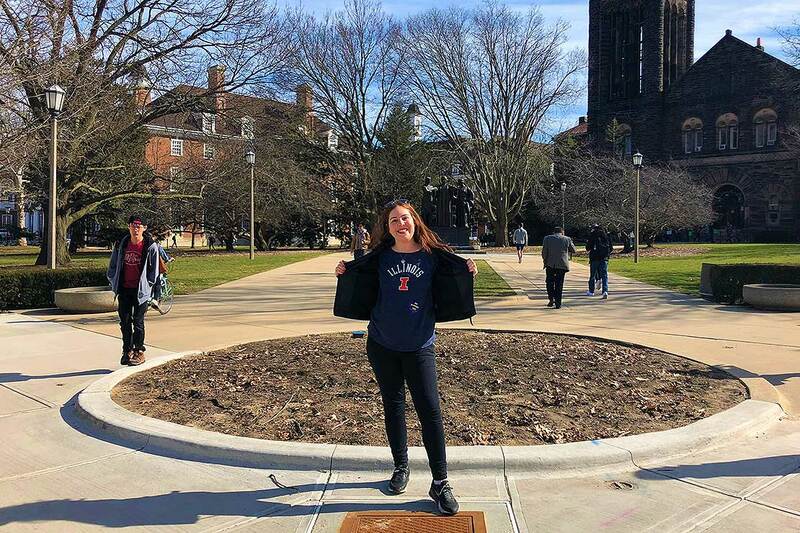 When Rose Oakley chose to spend her final semester on exchange at the University of Illinois Urbana–Champaign (UIUC), the Christchurch native hadn’t even dreamt about scoring an internship while she was there. The Massey University Bachelor of Communication student simply hoped studying public relations in the fiercely competitive United States market would provide her with a leading edge when she returned to New Zealand. Rose’s favourite class at UIUC was crisis communication, taught by guest lecturer Dennis Culloton who owns a successful crisis PR firm in Chicago called Culloton Strategies LLC. “I enjoyed the content of his course and knew the unpredictable nature of his profession was something I wanted to do. I made sure in each class I spoke up and worked hard to leave a favourable impression,” Rose says. She approached Mr Culloton for an internship, which required getting him to sponsor her J1 visa under what is called academic training. This meant she could legally work in the United States for 90 days following her studies. Rose and the view from the John Hancock Centre in downtown Chicago. Rose’s internship mostly involves helping her firm pitch story ideas to the media and doing research. She also helps with events and assists in writing weekly blogs for the official website about PR disasters and what future clients can learn from them. Working at Culloton Strategies LLC has exposed Rose to a range of high-level clients from Chicago, including Cook County commissioner Bridget Gainer and the Chicago Cubs baseball team. She has also worked with Lurie Children’s Hospital, Gallagher Way (a major events space in Wrigleyville) and on the launch of the Cancer Can’t Compete campaign with the Anthony Rizzo Family Foundation and the Chicago Tribune. In addition to scoring an amazing internship, Rose’s exchange has given her an array of experiences outside the area of her study. She has toured Elvis Presley’s home, taken in Broadway shows, Disneyworld theme parks, breakfast at Tiffany’s and celebrated spring break in Mexico, which she described as “an amazing experience and everything you see in the movies”. 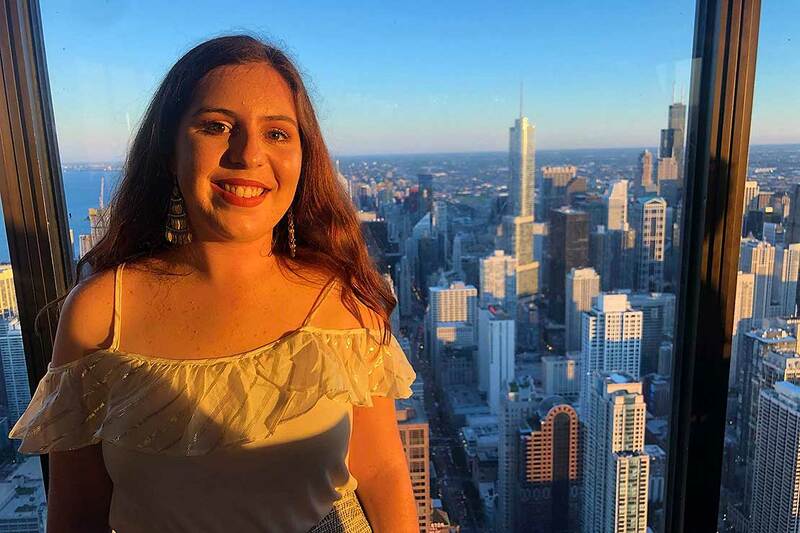 However, Rose’s favourite memory is walking through the Chicago business district on her way to the first day of her internship. Rose now has two months left at her internship and says she is going to spend the time soaking up every bit of knowledge and experience she can. Her end goal is to stay in Chicago to continue building her career in communications. If you are interested in going on exchange, please find more information on the Massey University Student Exchange page.